Riding a bike is one of my favorite pastimes -- my friends and I used to hop on our bikes and take off. But, sadly, at the end of the day none of us ever knew how far we went, how fast we went, or any other information about the ride. Previously I have driven the route that I rode to find out how far it was, but gone are those days as Strava has launched an application which solves all these issues. Android owners can download this free application from the market and it will allow users to track their distance, speed, climb and much more in real time right from your device, no more uploading data to a computer to view it. Users can upload their information to the site to keep running records of their rides, but they can also compare and compete with others right from their device. So if you enjoy riding your bicycle and don't want to spend tons of money on a ride monitor, be sure to head to the market and download this today for free. Download links after the break. 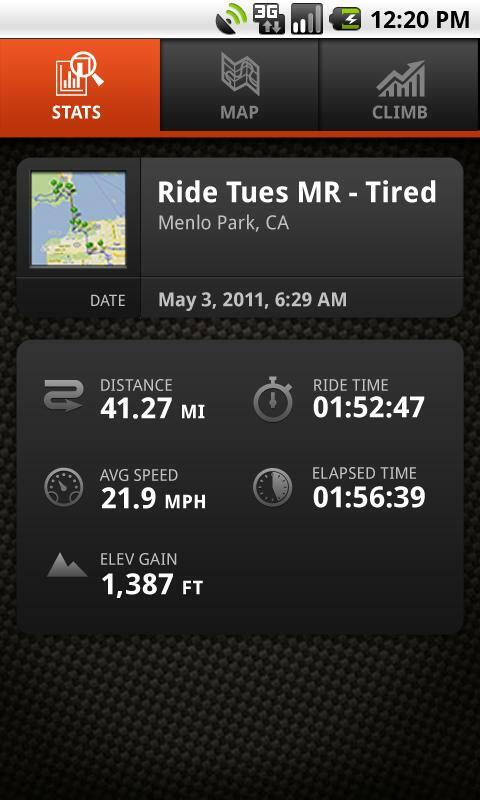 SAN FRANCISCO, Calif. – June 13, 2010 – Strava (www.Strava.com), creator of powerful Web and mobile applications for avid athletes, today announced its first mobile application for cyclists on the Android platform. Android users can now track their power, speed, climb, and more in real-time on their mobile phone with a new, free application from Strava. The application, available for immediate download from the Android Market, lets Strava users analyze their rides and compare their results on climbs and sprints to other local riders. The app uses GPS technology to seamlessly send the users’ data to the site, providing real-time analyzed workouts. Strava serves as a social network for cyclists, allowing them to share, compare and compete with others via their mobile phone and via dedicated GPS devices, providing motivation and fun. Strava uses unique segmentation technology to provide a range of comparison and competition data, enabling athletes to track milestones and compete with themselves and others to improve performance and enhance their enjoyment of their sport. Go to http://www.strava.com/ to find out more about Strava, the new app and to follow up-to-date news on professional cyclists. Strava lets some of the most enthusiastic athletes in the world experience social fitness – sharing, comparing and competing with each other's personal fitness data, on-line and via mobile apps. Strava is currently focused on the needs of avid cyclists with unique features including automatic climb identification and categorization, virtual climb competitions, and member-created on-line races. It makes cycling a social experience even if you’re riding alone.